I thought I'd kick things off with a little time management. 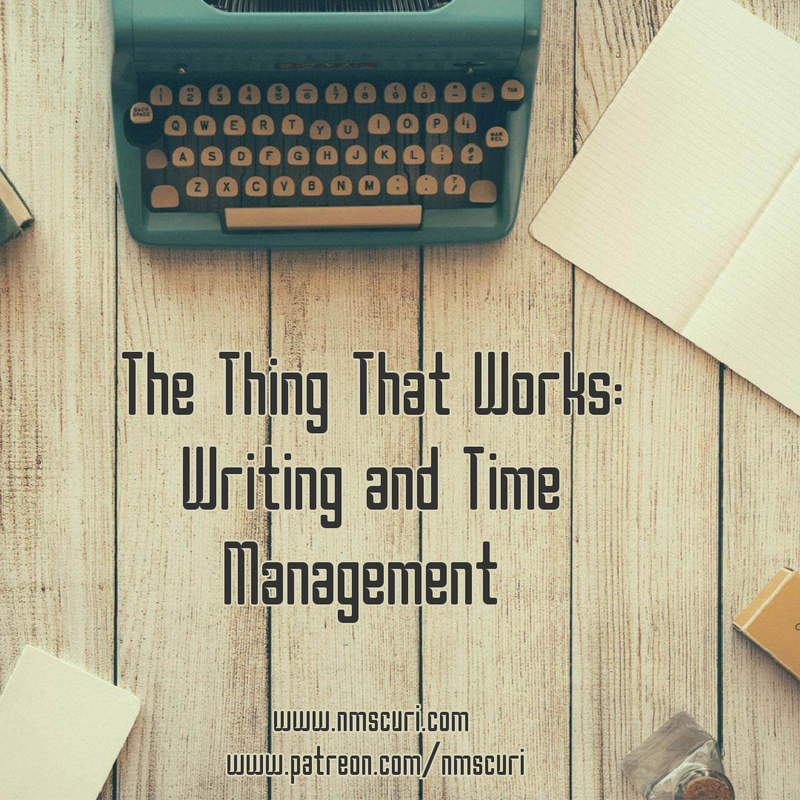 It's hard to write if you don't make the time to do so. We tend to spend a lot of time and money on the hopes that we will save a lot of time and money. Don't take my word for it. Just log on to Amazon, or head to the local bookshop, or even the office supply and look at the planners and guide books on how to squeeze more time, profitable time, of course, out of our day. Everyone has the "ultimate plan." There's a problem with this, though. We are individuals in a world that is not one size fits all. I've read up on lots of different ways to organize my time and make the most of my day. "Plan every minute," says one. "Get up at 4am," says another. Curious, I'd look at the examples of organization that would come with the materials. They were usually CEO entrepreneur types. I'm guessing that the people in these examples had nannies and/or housekeepers, because they never took a minute to empty a dishwasher or cook an egg. Not that there's anything wrong with it, but their lives looked nothing like mine. I sifted through what I saw, and put something together that works with me, my life right now, my schedule, and my goals. Look at what you do right now: Keep track of how you spend time right now. How much time do you spend commuting? On your phone? Watching Netflix or playing video games? What can you cut back on (not out), so you can make time to write? Find out when are you most awake: Are you a morning person? Are you better in the afternoon? Getting up at 4am won't help if your best time to write is 3 in the afternoon. Decide what can't move: Are your work hours set? Do you have to get home by a certain time to get kids off the bus? Figure out how to work around the non-negotiable parts of your day. Make small adjustments: We tend to fail in our attempts to make changes because we decide to make huge shifts in our day and our behavior. We want to go to the gym every day, but to get there, we'd have to get up an hour earlier, so we'd have to go to bed an hour earlier, and so on. There is power in starting small and stacking those small daily efforts. I'm going to discuss this further, but what do you think? What has worked for you? What could be better? Have any questions? Let me know. I have more on my Patreon page. If you decide to join at any of the tier levels in the month of January, I'll be thanking you with a free ebook! Looking to take your writing to the next level? Become a patron and get access to tutorials, workshops, and Q/A sessions to help you achieve your writing goals. Academic content is posted each week on Patreon. Subscribe to N. M. Scuri's newsletter for all things writing and editing, including upcoming live workshops and editing consultations here and get a free worksheet: "5 Questions to Get You Started on Your Writing Path."